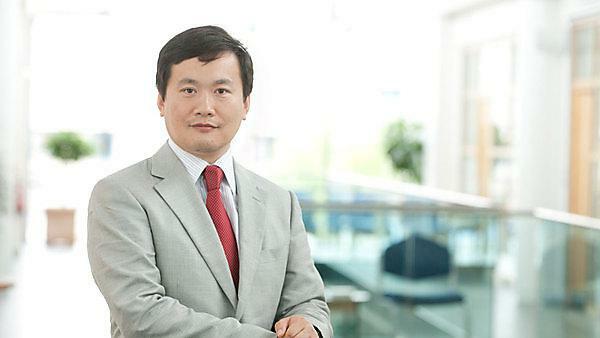 Dr Bing Hu, Associate Professor in Oral and Dental Health Research at Plymouth University Peninsula Schools of Medicine and Dentistry, has been given one of China’s highest academic accolades by being elected a Distinguished Expert of Beijing City. The title means that Dr Hu is recognised by the Beijing government as a ‘high talent’ and therefore eligible to apply for high level grant awards and investments from China. As part of the arrangement he will also be given an honorary professorship at Capital Medical University, whose clinical medicine and dentistry both rank seventh among more than 100 medical and dental schools in China. China has increased its research investment seven-fold over the past decade (for 2015 the total research investment in China is 1200 billion RMB/£120 billion GBP) and the Chinese government has an active campaign to encourage international scientific collaborations. As a Distinguished Expert of Beijing City and already working as external expert for the Beijing Natural Science Foundation, Dr Hu will be able to attract grants to Plymouth awarded either by the Chinese government or joint awards from the Chinese and UK governments, all of which require an established link to China. So far fewer than 500 people around the world have been awarded this status since the programme started in 2009. The programme covers education, public health and industry. The news comes soon after a visit from senior management from Capital Medical University from which closer ties between that organisation and Plymouth University Peninsula Schools of Medicine and Dentistry were announced. “Our congratulations go to Bing Hu for this superb achievement. This confirms the international impact of our research and extends our partnership with China."